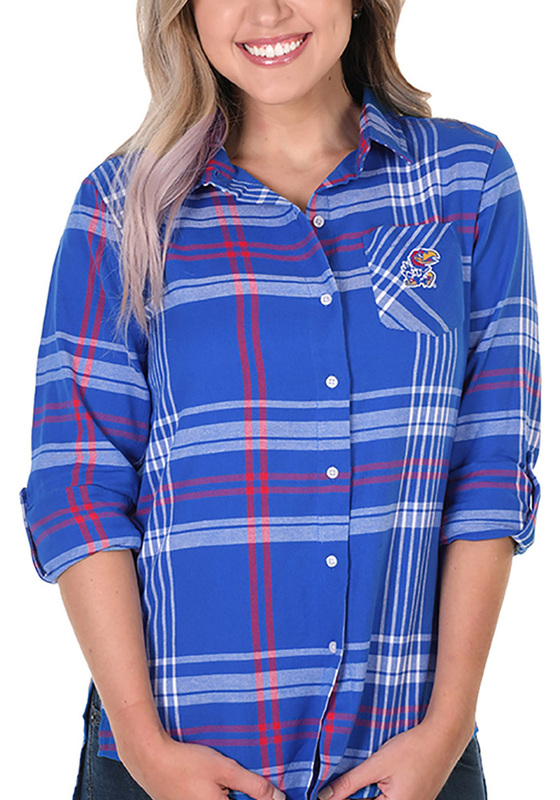 Let your Jayhawks spirit show in the office with this Kansas Jayhawks Dress Shirt! 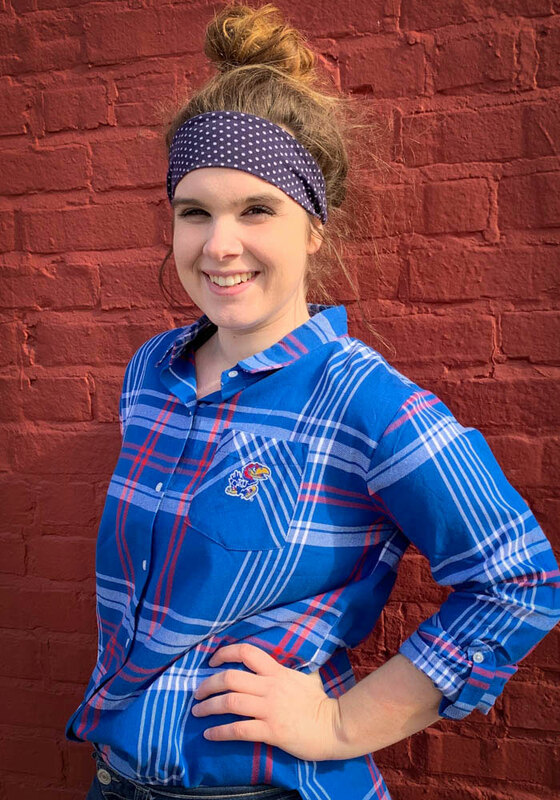 Wear your spirit with pride in this Womens Blue Boyfriend Plaid Long Sleeve Long Sleeve Button Down Shirt. This Long Sleeve Dress Shirt features a left chest team logo embroidery.